MISSION: To connect future educators with current educators! I am excited to revisit the “ConnectED” mentorship idea with a narrowed focus of simply connecting preservice teachers with experienced teachers via Twitter. I am excited to join forces with Chris Cuff and Derek Rhodenizer. 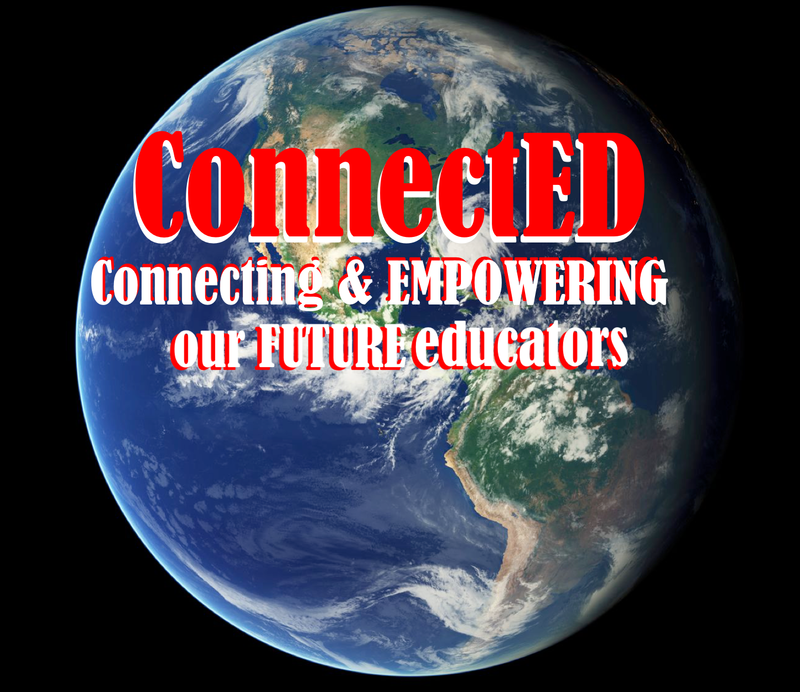 Together our mission is to get educators “ConnectED”! If you are a preservice teacher interested in growing your PLN and connecting with experienced educators, fill in the following ConnectED form and let us help you get ConnectED! If you are an experienced teacher interested in digital mentorship and PLN support visit #ONedmentors. Perhaps, in the future, we’ll revisit the plan below. Feel free to contact me if you have ideas to help move forward! In the first two months of the project, a team of seven very innovative and connected Ontario classroom teachers (Brian Aspinall, Laurie Azzi, Peter Cameron, Aviva Dunsiger, Allison Fuisz, Sharon Moskovitz and Jonathan So), one pioneering Faculty of Education prof (Barb Van Hatten) and her lucky students have laid the foundations for ConnectED, an attempt to more efficiently and effectively connect Faculties of Educations, teacher candidates, classroom teachers ad their students. The teacher candidates who were part of the ConnectED pilot project now have a wealth of knowledge, connections, ideas and inspiration to leverage technology in their classrooms during their student teaching placements and in the future! 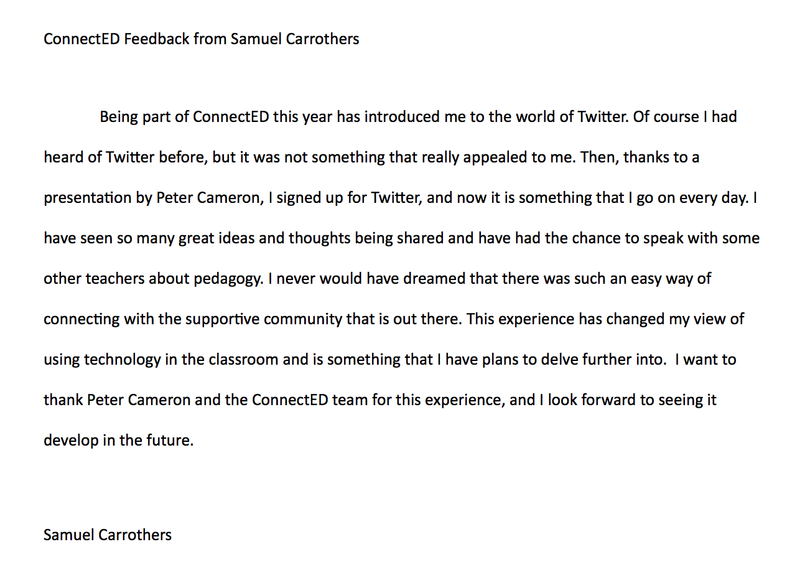 Read Samuel Carrothers testimonial! The other six members of our team have now started connecting with other Faculty of Education profs and their students and we are now reaching out to YOU, the greater education community to invite you to get ConnectED! It is hoped that this webpage will become somewhat of a “match making” space to connect educators in the same way our original team has. If you are a classroom teacher who would like to connect with a Faculty of Education class, please fill out this form. Your information with autofill to this spreadsheet. If you are a Faculty of Education prof who would like to connect yourself and your teacher candidates with a classroom teacher and his/her class, please fill in this form. Your information with autofill to this spreadsheet. Visit the spreadsheets above, reach out to an educator who you think would be a good match and start connecting your classes! Also, follow the hashtag #ConnectEDt let us know the connections you have established and keep us informed about the great things your ConnectED team is doing! Also, add your Twitter handle to the ConnectED list. 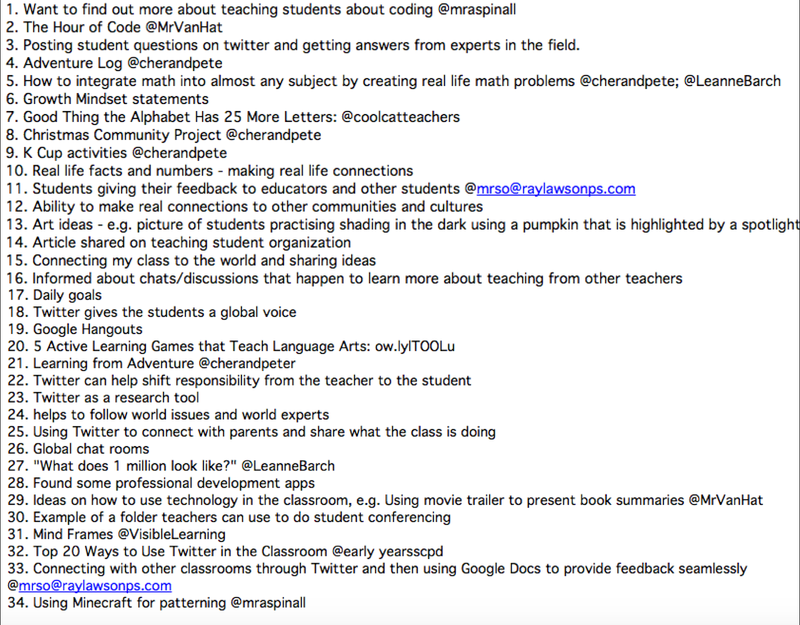 If you are an educator who wishes to become more ConnectED, feel free to add your information to the appropriate docs below, share and encourage others to do the same. 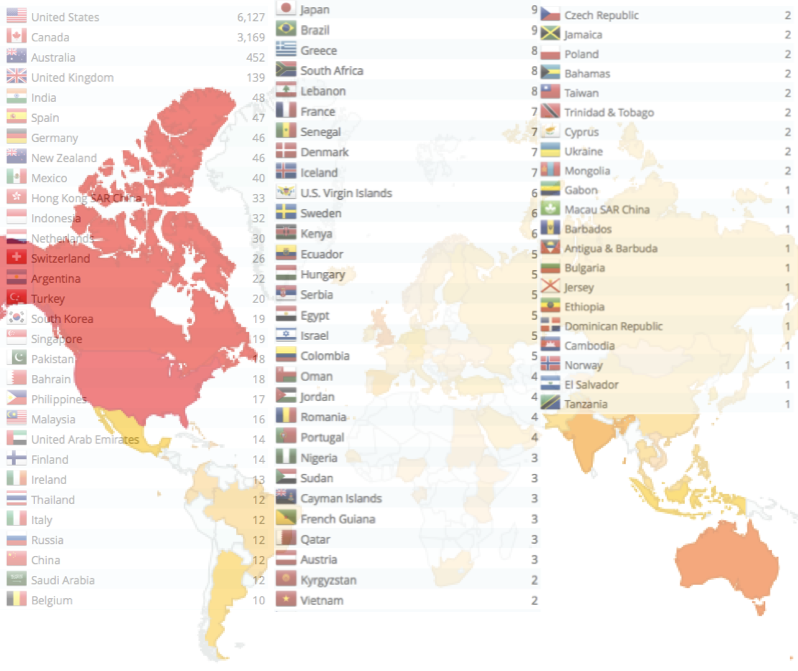 In the future we intend to create a more formal ConnectED directory! Feel free to leave any comments, feedback or suggestions!